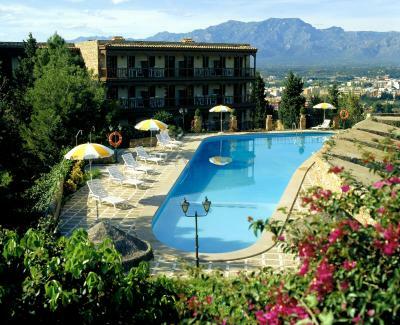 Lock in a great price for Parador de Tortosa – rated 8.4 by recent guests! The room was a good size, very clean/comfortable and the private balcony was a plus! Food was good and staff was helpful/friendly. The building is amazing, has fantastic views and lovely gardens. The staff let me check in 2 hours before the time, very nice. My room was perfect and I suggest #319 because it's on the end and a corner, so you can see the river and the mountains on the other side. The sunset is over the river and it was spectacular from the balcony. The pool was huge and curvy, very fun to swim in. Plenty of pillows. Ventilation was amazing and I kept all the windows and door open. No need for air conditioning and it's July. Historic hotel renovated in a tasteful modern way. Good food and interesting nearby city to visit. 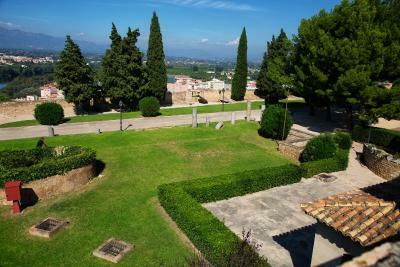 Beautiful location above Tortosa, views were excellent. The hotel, dining,and staff were amazing. The building itself is exceptional; its history and restoration give a feeling of awe as well as comfort. Staff all friendly and eager to be helpful. Spoke good English at front desk. Wonderful pool for swimming/relaxing. Location was nice, the hotel building because it is an old castle repaired. Location is great for anstop over en route to Barcelona. Castle walls are lovely. Excellent view and great value for the price. Comfortable room and very helpful staff. Parador de Tortosa This rating is a reflection of how the property compares to the industry standard when it comes to price, facilities and services available. It's based on a self-evaluation by the property. Use this rating to help choose your stay! Enjoy a historic setting and magnificent views from this 10th-century castle, carefully restored as a luxury hotel but still retaining much of its original charm. 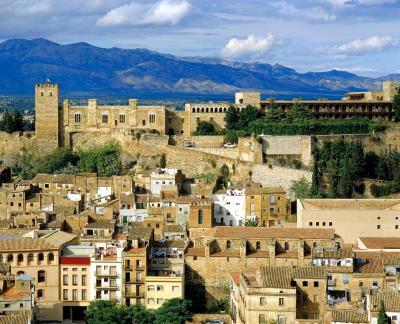 The Parador de Tortosa’s setting in the Beceite Mountains allow to look out over the green Ebro Valley and the ancient city of Tortosa. 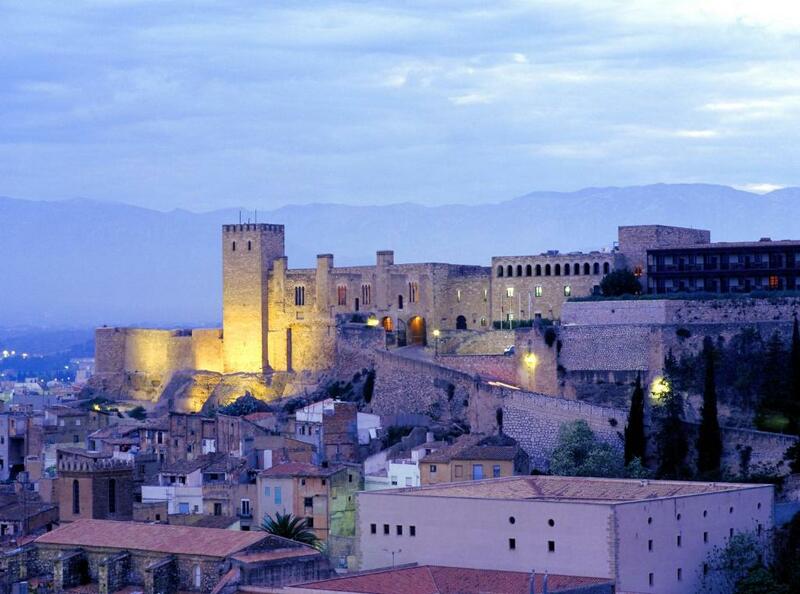 It was originally built by the Moorish King Abderramán III, but over the centuries has been updated in a Gothic style. The interior is traditionally Christian, with vaulted ceilings, wood beams and antique-style, wooden furniture. Take in the stunning views from the spacious sun terrace or the outdoor seasonal swimming pool. 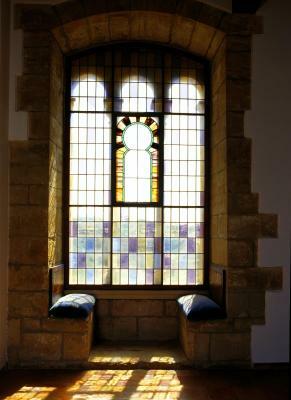 You can then try some of the characteristic Catalan cuisine served in the hotel restaurant – a charming venue with exquisite stained-glass windows. 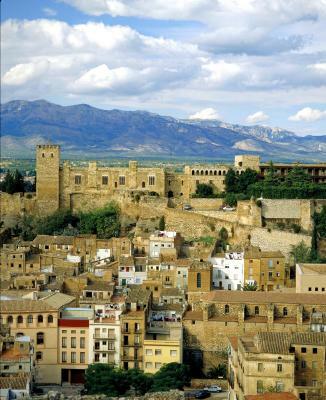 When would you like to stay at Parador de Tortosa? This air-conditioned room features a flat-screen satellite TV, private bathroom, safe and mini-bar. Some rooms have a balcony. This twin room features a cable TV, mini-bar and air conditioning. There is a sofa bed for 1 person. This double room features an integrated living room area, cable TV, free WiFi and mini-bar. 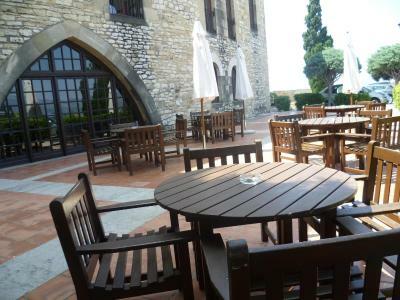 The Parador is situated in the spectacular Zuda Castle, overlooking the city from high above, offering a combination of monumental beauty and the attractions of the various natural areas that surround it. At this inviting hotel, you can enjoy the seasonal swimming pool, a cozy dining room with Gothic windows, comfortable guest rooms and magnificent views of the banks of the Ebro along the river's final stretches. House Rules Parador de Tortosa takes special requests – add in the next step! Parador de Tortosa accepts these cards and reserves the right to temporarily hold an amount prior to arrival. Please note, the swimming pool is open from the 23rd of May until the 30th of September. 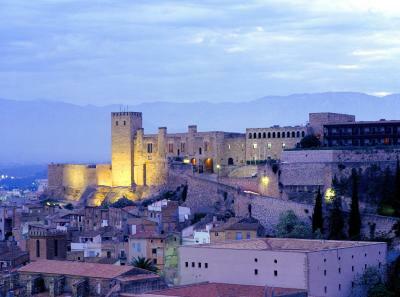 Please note that all guests at Parador de Tortosa have access to a computer with internet for free. The breakfast was pricey at 17 euros / person. At that price level I expect to have a chef and cook station waiting to take my eggs order. The fried eggs available on the buffet were pre-prepared and almost cold. The bathroom in both our room and that of our friends had a lingering sewer odor. The restaurant, while quite grand in appearance, was quite disappointing in the quality of its food. My wife and I had ordered the sirloin beef. We were not asked how we wished it prepared - rare, medium or well-done. Both arrived seared on the outside and very, very rare inside. Our 2 friends ordered the fish - which arrived cooked but barely warm. Tortosa was larger than expected and not quite as quaint/quiet as the other Paradores we stayed at during our trip. More food choices though! Even though the view from our balcony was of the tower of the castle, the river and hills beyond, it is too bad that one has to also look at a parking lot. I was a bit surprised that the ceilings of the corridors and rooms were not higher. They were like any modern hotel. Our 2-room suite was very comfortable. The bathroom with double sinks, super large towels and toiletries was much appreciated. The housekeeping standard was excellent. The robes and slippers a plus. The linen foot towel by the bed was in keeping with a European tradition that one rarely sees anymore. The Parador gets points for this. The restaurant looked nice but a lot of the menu was not available. We ended up with cold meat and bread,not at all suitable to our requirements. The bar was good and the breakfast excellent. Unfortunately, there was a foul smell in our room (coming from the drains in the bathroom). We asked the staff to check it out and their solution was to douse the whole thing in a very strong smelling chemical cleaner-- which meant that the room then smelled like cleaner PLUS drain-smell. So that was a little unpleasant. 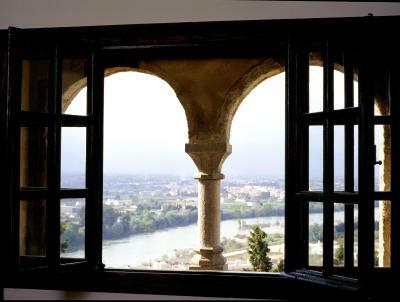 The view from the room, however, is beautiful, and Tortosa was lovely. The building and location are beautiful. 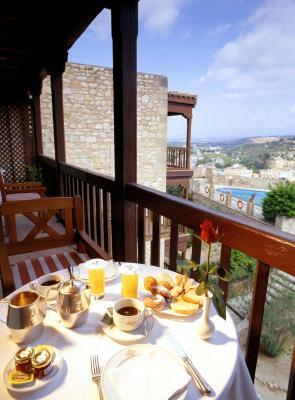 The service and food in the restaurant is poor, particularly the breakfast. I felt that the interior needed to be updated and cared for, ie sick plants and lots of dust. The bed was extremely hard, personal preferance, and not particularily comfortable. My biggest issue however was with the food and service in the restaurant. The food was of poor quality and mostly served lukewarm at best. The waitress, an elderly lady, trundled around the restaurant pushing an old trolley delivering food without a smile, or even a word, to the customers she was serving. A wonderful iconic building located at the top of a steep hill with lovely views over the Ebro river. Check in was efficient and there was plentiful free parking in the hotel grounds. We stayed one night and I can't think of anything I didn't like. 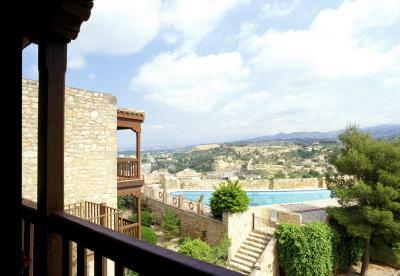 Beautiful setup in a historical castle on top of a hill, with fantastic views of Tortosa and its surroundings, that can be seen from the grounds of the property. Simply furnished, comfortable, clean, spacious room with a small balcony. New, nicely appointed, roomy bathroom. Reception staff was friendly and very helpful. Sanely priced hotel and a good value for the money. Ample free parking is available if you drive. The dinning hall is rather big and not partitioned. So it can be quiet noisy especially with weekend party bookings. If you are looking for a nice quiet dinner go downtown. We experienced a very rowdy group who made dinner hard to hear each other. The meals were ok but not great! The bathroom had a fair bit of mould on the walls which was not what I would have expected. A unique stay in a very historic town. Lovely views and close to the sites. It had the feel of a hunting lodge rather than a luxurious castle but was comfortable and enjoyable. The staff were lovely.